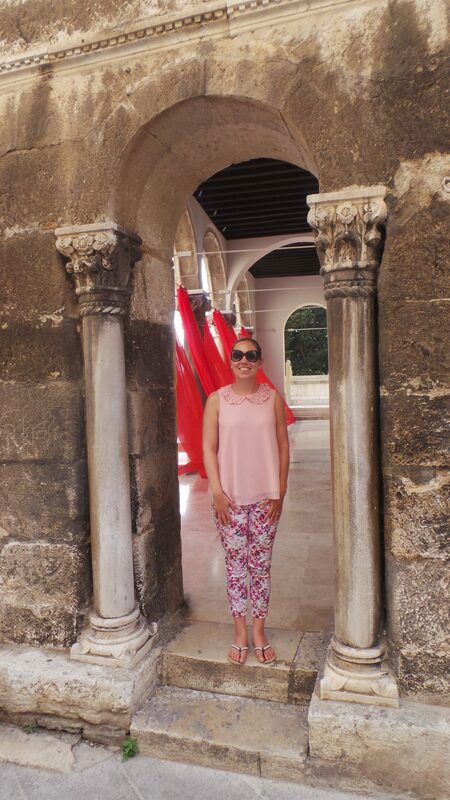 I had already planned our final day in Croatia before we had even booked our holiday. 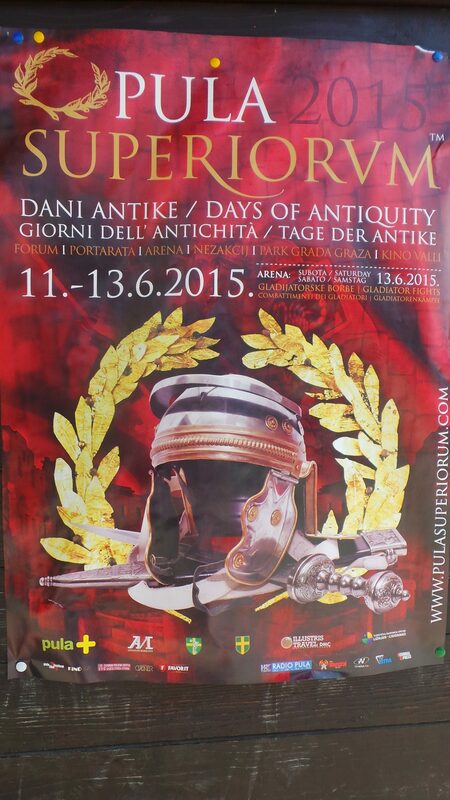 A quick google search of things to do in Croatia had thrown up the Festival of Antiquity in Pula. A three-day event which finished on our final day. It was perfect timing. 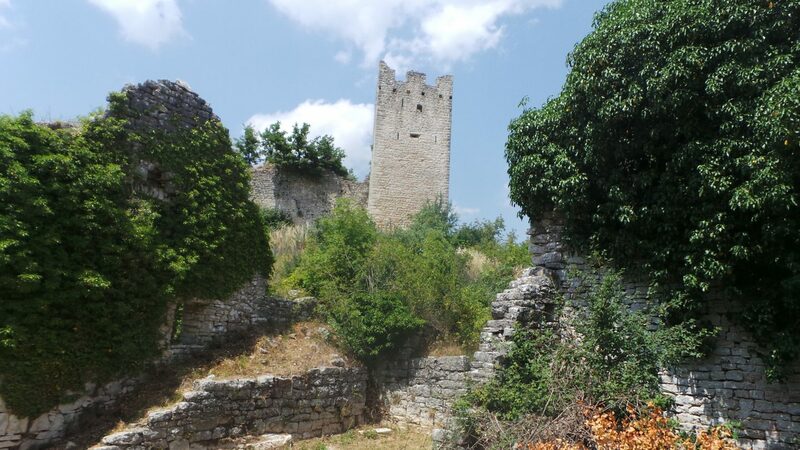 On our way to Pula for the Festival of Antiquity, we managed to find the medieval ruins of Dvigrad, which we tried and failed to visit after the beach volleyball finals the previous week, so spent half an hour exploring them. Dvigrad was abandoned in 1714, and now the Regional Programme for Cultural and Natural Heritage in South East Europe is attempting to preserve and reconstruct the town. There is a small hut serving cold drinks and free parking for Dvigrad (currently no charge to visit, either) but little else in the area. Its beautiful and very quite spot, however, so well worth a visit if your out and about. We enjoyed a wander around the remains of this eerie village. 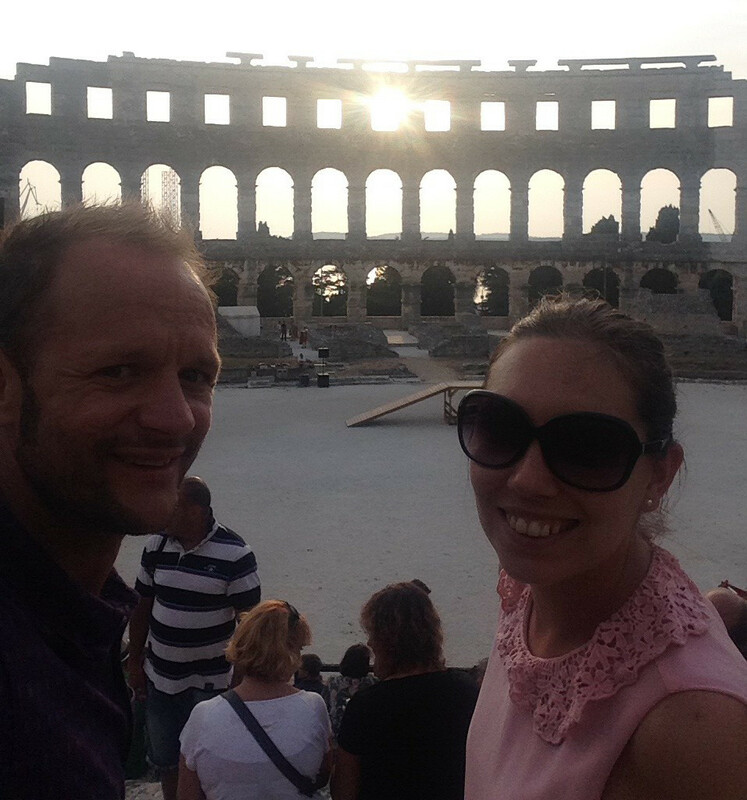 Arriving in Pula, we easily found a parking space outside of the Colosseum for just 40p per hour, so used up the last of our loose kunas to park the rest of the day. We decided to purchase our tickets (£7) in advance. 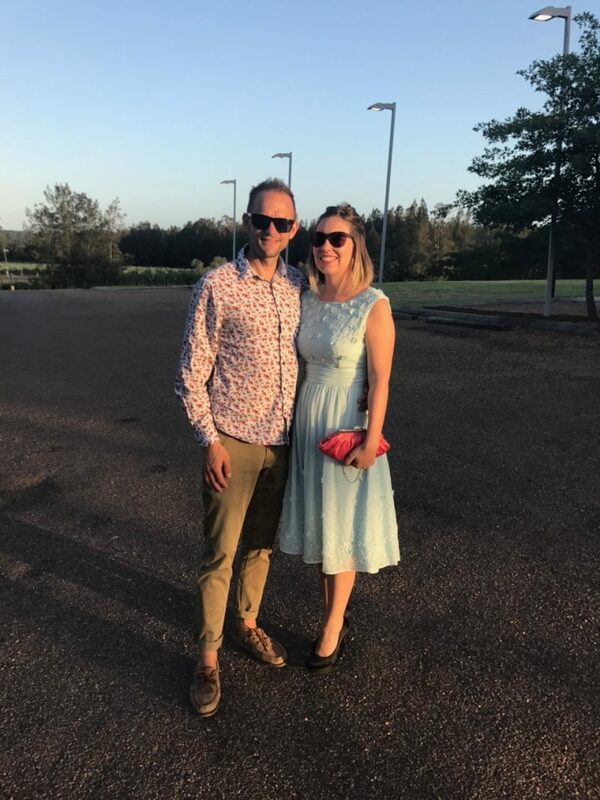 It was a good idea – there were large queues by the evening. 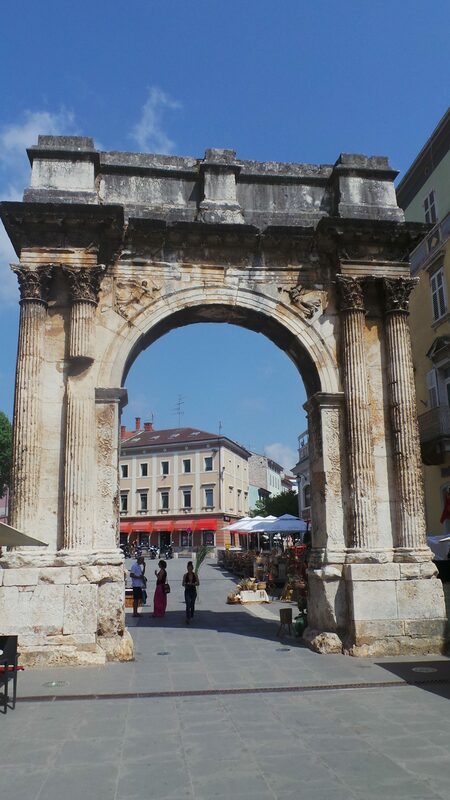 Sadly by the time we arrived in Pula, there was a break in action for the festival – presumably out of the mid day heat, so instead we spent our time wandering around the town. 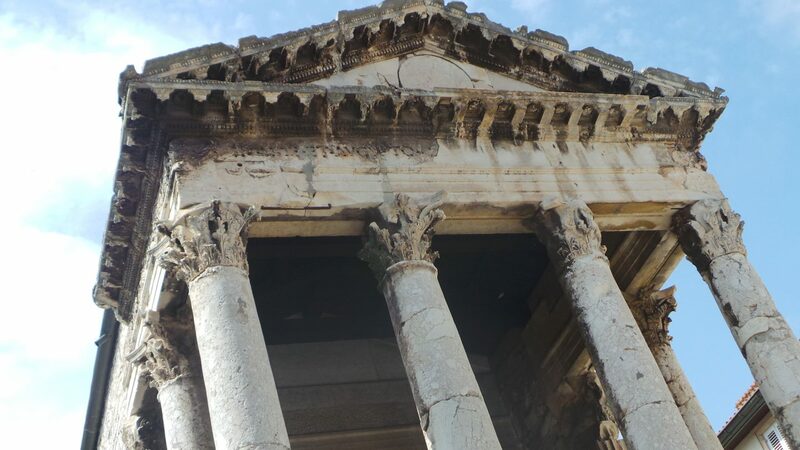 Away from the main streets, Pula had somewhat a charm about itself, and our first impressions of a dirty, tatty town were changed almost instantly. 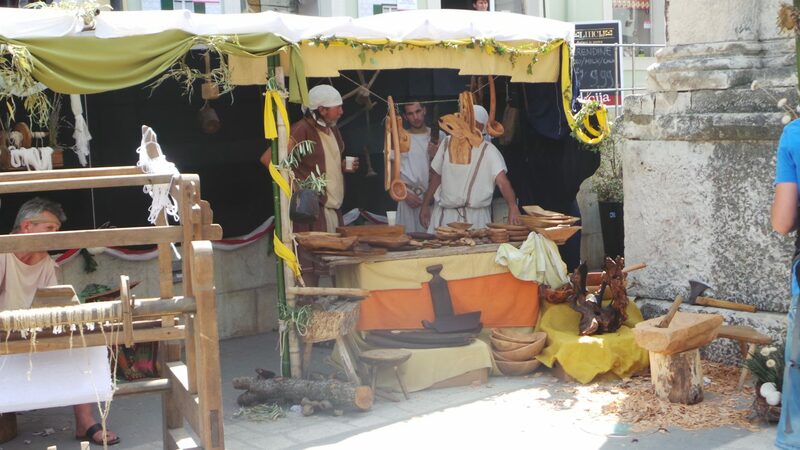 Wandering through Pula, we saw people dressed up in medieval clothes, preparing for the afternoons festivities. 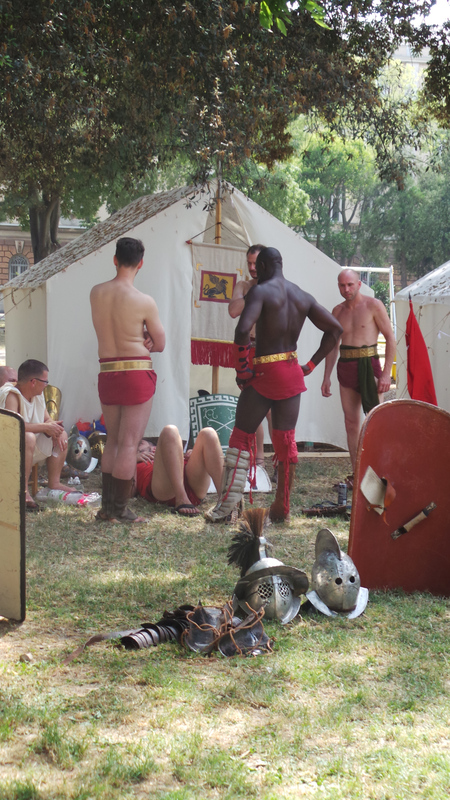 There was also a group of scantily clad men, seemingly gladiators whom had grown tired of training. After a couple of hours of wandering, we decided to stop for some dinner, and found a beautiful wine bar on a quite street, which served a small menu of tapas, sandwiches and salads. It was the perfect location for the last supper! The food was delicious. We had wonderfully fresh club sandwiches and salads which they were happy to change from the ingredients listed. 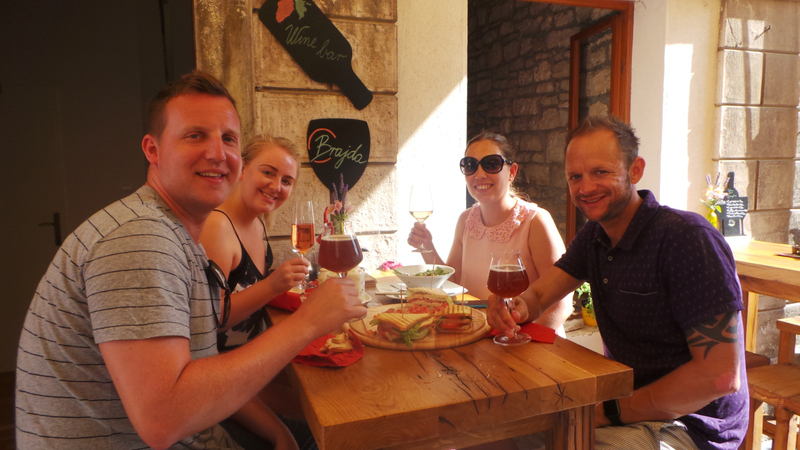 The Istrian wines were some of the best we had tasted, served in fancy glasses and at proper temperatures. Even better, our feast and 4 drinks each cost less than £30. 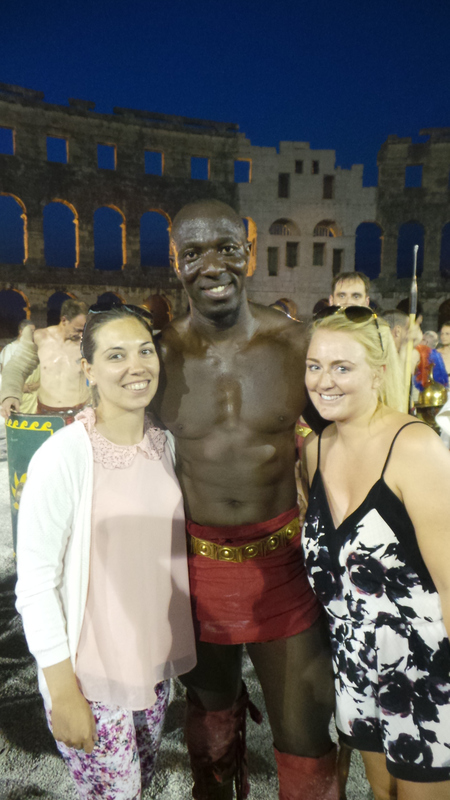 Whilst enjoying our meal, the gladiators came past – and as all good tourists do, we had a group picture with them. Probably one of my favourites of the entire holiday! Soon it was time to follow the gladiators path to the arena. 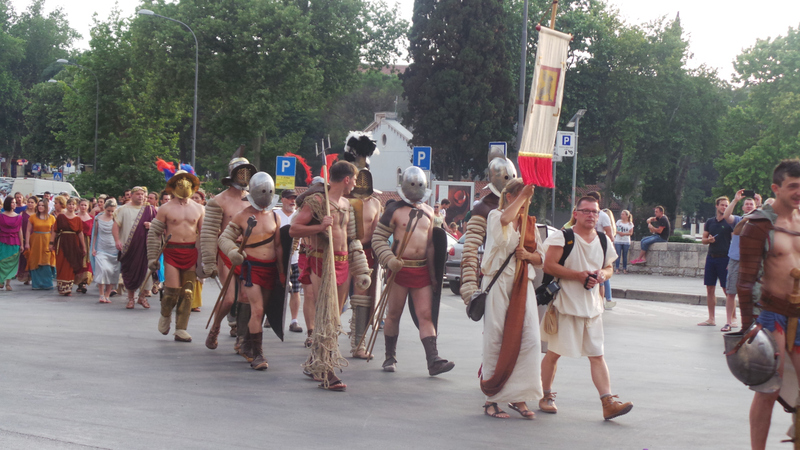 It appeared that most of Croatia were also at the arena waiting for the gladiators to arrive. 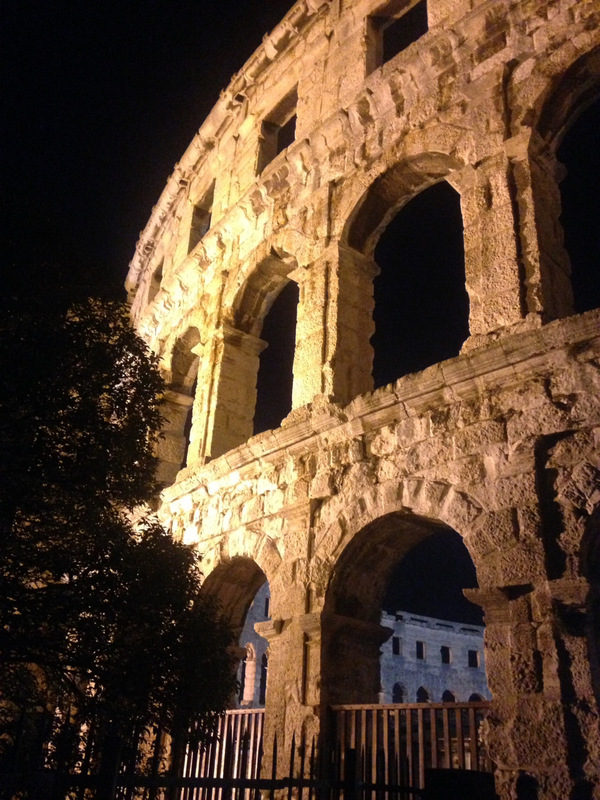 As we already had out tickets, we were able to access the Colosseum via the side entrance. It helped us secure a pretty good view with central seats. The beginning of the show was somewhat amateurish – and whilst it probably wasn’t the intention, it was pretty irritating. Still, it explained the history of the fights in a simple way, every so often with some poor acting skills! 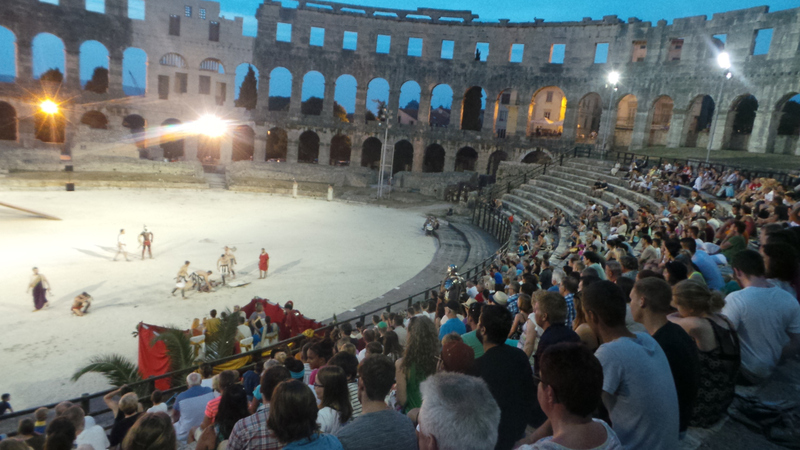 The evening was much more exciting once the fighting started – and audience participation was needed to choose which gladiators lived or died. Fortunately for us, Hector won his game. As promised we cheered pretty loudly! Throughout the games, the narrator spoke of the fighting being real, and that nobody knew who would win each game. I didn’t believe this until one of the final matches, when it became apparent that somebody truly was hurt. As it turns out, one of the gladiators was stabbed in the neck! Not a huge fan of fighting. I squirmed even more at the final games, knowing that the fighting was real! 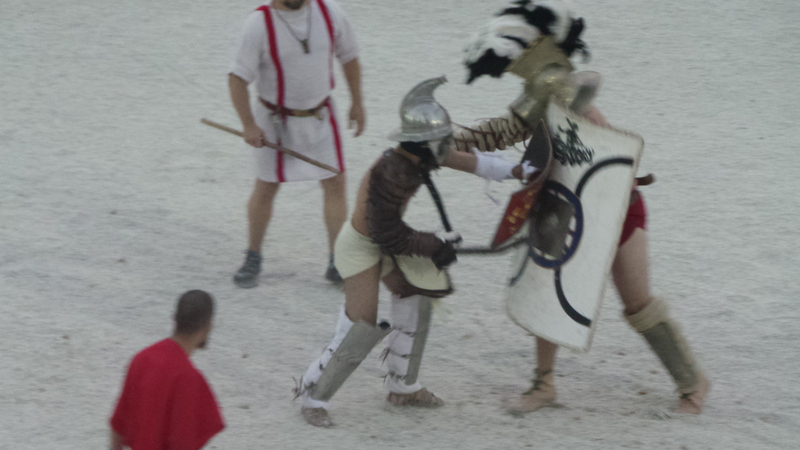 At the end of the games, the audience was invited down to meet the gladiators. This was definitely the best part of the evening. As we mingled with the warriors we found our friend Hector again! It was obvious from some of the bruises that this really was a proper battle! We even met the chap who had been stabbed in the neck – a big bandage covered his war wounds! We spent quite some time chatting to the gladiators – they even invited us out for drinks, but sadly, we had to return to the villa. As they had their final group photographs, we set off to finish packing our bags, the end of a most fabulous holiday.